Mounting Auxiliary Lighting to light the way on your off road adventure can be somewhat confusing, given the numerous styles and locations that you can mount the lights. 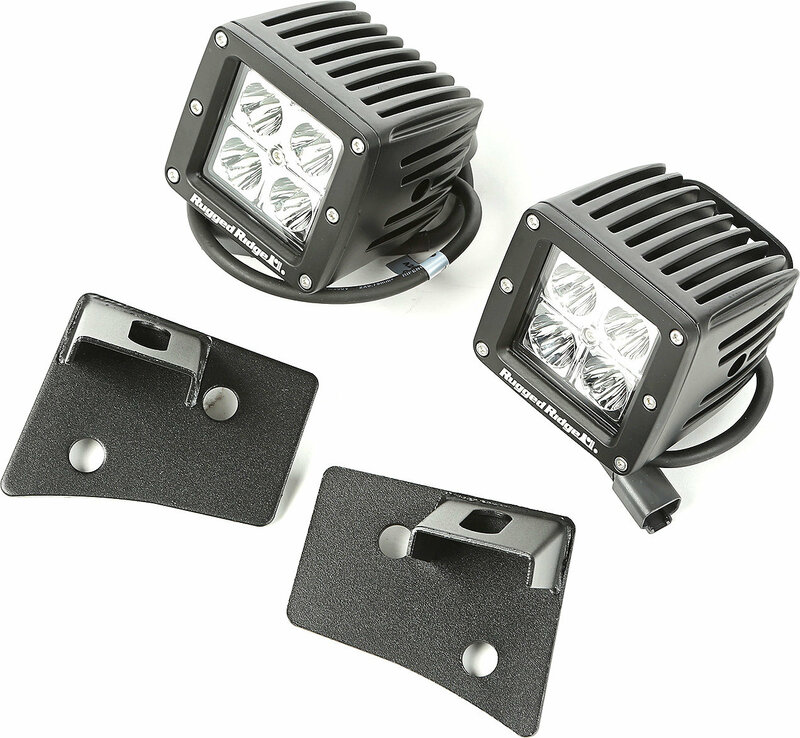 Rugged Ridge has come up with the perfect kit for mounting lights. This LED light kit comes with two 3" LED cube lights, along with brackets that mount the lights onto A-pillar on the windshield frame. This provides the perfect location for the lights which will not get in the way of the drivers view. The location of the light on the windshield is in an optimal location for visibility out on the trail. The included brackets are powder coated black for a finished look and weather resistance. This is a bolt on kit that requires no drilling or modifications to the Jeep. A separate wiring harness will be necessary (sold separately) to wire up the two lights to a switch. Easy Installation: No drilling or modifications necessary to mount the Lights & Brackets. All necessary Hardware is Included for a no hassle installation. Tough & Durable: The LED Light Cubes are manufactured from cast aluminum, and have exceeded testing for vibration, corrosion, and submersion. These lights will last through any bad weather out on the trail.